Fans of HomeKit-enabled smart locks rejoice, because there’s a new product that we think you are going to love. 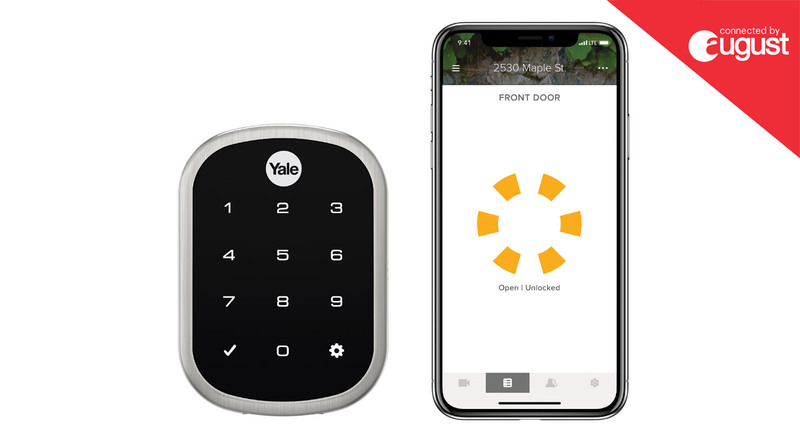 A partnership between Yale and August, both now owned by the same Swedish lock manufacturer Assa Abloy, has resulted in a new line of keypad smart locks being announced that use Yale’s secure lock hardware and Augusts app and cloud technology to create something that has the potential to be pretty impressive. Called the Assure Locks – Connected by August, the new locks will allow users to unlock their doors manually using August’s app or an entry code, or automatically using the Auto Unlock feature that allows anyone to unlock the device if they have an authorized smartphone with them. That sounds amazing and we cannot wait to get our hands on one. With the inclusion of the August technology, the new locks also include HomeKit and Siri support, bringing all of the features that normally come when such checkboxes are ticked. There’s also support for Alexa and Google Assistant if they are more your speed. The idea of a smart lock on a door opens up all kinds of possibilities, including the sharing of virtual keys for people like cleaners, with status updates also sent to the owner whenever the door is opened. August CEO Jason Johnson says that the new locks are the start of an ongoing partnership between August and Yale. The new locks come in a kit that includes an August Connect WiFi Bridge and DoorSense, allowing remote access to the keyboard when users are not at home. Two models will be available – the Assure Lock SL will have an edge-to-edge touchscreen at $299 while the Assure Lock Touchscreen will have a numerical touchpad as well as a traditional key at $279.